This piece is part of a developing series exploring death in the digital age. 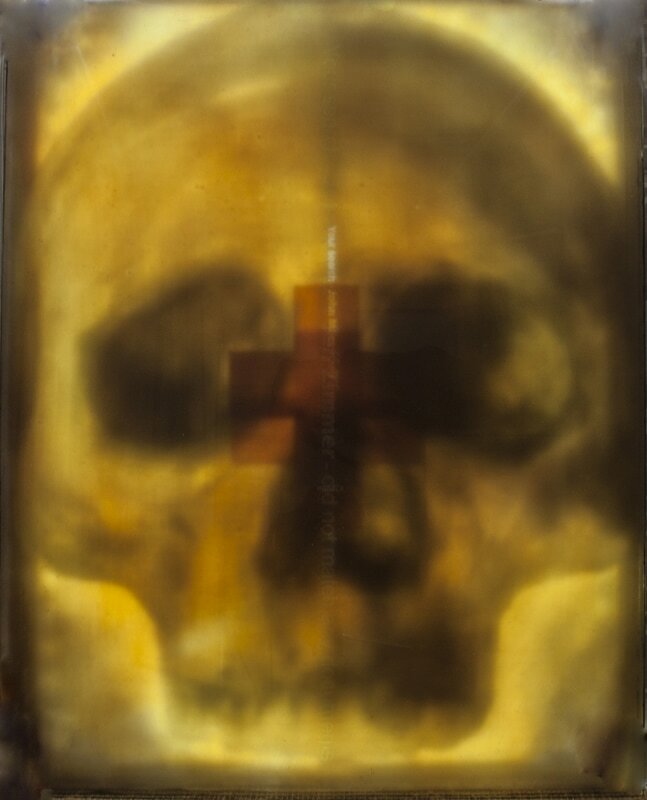 Hovering in front of a large skull and two overlapping red crosses, symbolizing HIV and AIDS, the phrase "Your search - John Miles & Jeff Zimmer - did not return any documents" has been repeatedly etched by a laser onto layers of enamelled glass, removing the enamel and creating voids where the words are. The root for this work lies in a simple act: I Googled my first lover, and he wasn’t there. John died of AIDS in 1995, part of a generation of lost gay men. Fast forward twenty+ years and it often seems that the entirety of the world can be found on-line. The internet is where see our lives reflected back at us. It shapes how we view our reality. But this man, who was so central to my life, has never existed on-line. This simple realisation re-opened a wound, and created a new void. This piece explores that void. ​This piece was started as part of a residency at The Creative Glass Center of America at WheatonArts, New Jersey.